If you live in Ohio and you’re trying to adopt a Persian kitten or cat, your best choice is to go to a Persian cat breeder. These are people who specialize in the breed and really understand their personality traits and how to care for them. Finding a Persian cat breeder in Ohio can be difficult, but we’ve done all of the hard work for you. We’ve spent hours researching to find all of the different Persian cat breeders in Ohio and you can find our full list below. 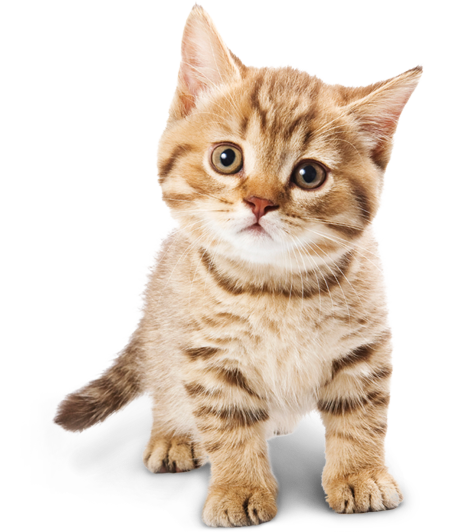 How They Describe Themselves: We breed a few litters a year and offer Persian kittens for sale to qualified homes. We breed healthy Persian cats from top show lines and our Persian kittens come with a written five year health / genetic guarantee. Pelaqita Persians' is known for producing kittens that have wonderful personalities and are healthy. How They Describe Themselves: I offer a health guarantee with every kitten, and I take my Persian kittens’ health and safety very seriously. All buyers must sign a contract promising to give their Persian kittens NuVet supplements, which will keep each kitten healthy and beautiful throughout his or her life. How They Describe Themselves: CFA Cattery of Distinction! White, bicolor, calico kittens with purrsonality plus! How They Describe Themselves: We are just a little family who love the Persian breed. After bringing our very first Persian, Igor, home we were hooked. Today we have four fluffs in our household. We shy away from the title "breeders" because that is not what we do. These are very loved pets but from time to time we do like to have little tiny smushies running around. How They Describe Themselves: Purrsianpals,a CFA registered Persian cattery, situated on six acres in rural North Central Ohio in the United States. My lifelong dream of raising and showing Persian cats has become possible through the generosity of a very kind family friend who promised my mother before she passed that they would see to it that I followed my dream.I am choosing to raise, show and breed only PURE PERSIAN lines. How They Describe Themselves: We have been working to build our Odd-Eyed and Blue-Eyed BiColor program with much success. We granded the first Blue-Eyed BiColor male of pure persian lines in CFA in the United States during the 2010 show season. (GC Chastelle’s Azul Savior). We are very proud of our Odd-Eyed, and Blue-Eyed BiColors. We hope to continue producing and showing these beautiful creatures. Not finding what you want with the Persian cat breeders in Ohio? Sometimes this happens as most small catteries only have one or two litters per year. If you’re looking to adopt a Persian kitten or adopt a Persian cat, you have two choices.